In William Kurz's new commentary on Acts, a sidebar discusses the Council of Florence's decision regarding the apostolic prohibitions of the Jerusalem Council. "The apostolic prohibition, to abstain from what has been sacrificed to idols and from blood and from what is strangled (Acts 15:29), was suited to that time when a single church was rising from Jews and gentiles, who previously lived with different ceremonies and customs. This was so that gentiles should have some observances in common with Jews, and occasion would be offered of coming together in one worship and faith of God, and a cause of dissension might be removed, since by ancient custom blood and strangled things seemed abominable to Jews, and gentiles could be thought to be returning to idolatry if they ate sacrificial food. "The Council then stated that where Jews are no longer a significant part of the church, 'since the cause of that apostolic prohibition has ceased, so its effect has ceased.'" 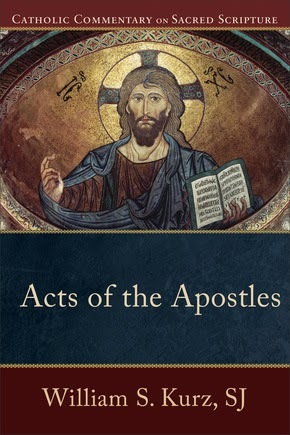 William S. Kurz, Acts of the Apostles, Catholic Commentary on Sacred Scripture (Grand Rapids: Baker, 2013), 243.